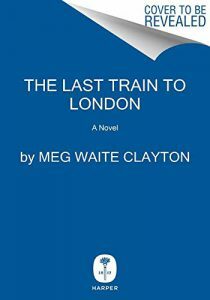 From New York Times bestselling novelist Meg Waite Clayton comes a powerful pre-WWII era novel based on the true story of the Kindertransport rescue of ten thousand children from Nazi-occupied Europe—and one brave woman who helped them escape. In 1936, the Nazis are little more than brutish bores to fifteen-year old Stephan Neuman, a budding playwright and son of a wealthy and influential Jewish family in Vienna, Austria. Stephan’s best friend and companion is the brilliant Žofie-Helene, a Christian girl whose mother edits a progressive, anti-Nazi newspaper. But the two adolescents’ carefree innocence is shattered when Hitler’s forces advance. There is hope in the darkness, though. Truus Wijsmuller, a childless Dutchwoman, risks her life smuggling children out of Nazi-occupied land to the nations that will take them. It is a mission that becomes even more dangerous after the Anschluss—Hitler’s annexation of Austria—as, across Europe, countries close their borders to the growing number of refugees desperate to escape. Tante Truus, as she is known, is determined to save as many children as she can. After Britain passes a measure to take in young refugees from the German Reich, she dares to approach Adolf Eichmann, the man who would later help devise the “Final Solution to the Jewish Question,” in a race against time to lead hundreds of children on a perilous journey to freedom. — Margie Scott Tucker, Books Inc.